Member of the UN Secretary General’s Advisory Board on Water and Sanitation. Judith was Director of the Grantham Research Insitute on Climate Change and the Environment and the ESRC Centre for Climate Change Economics and Policy from 2008 until 2012. 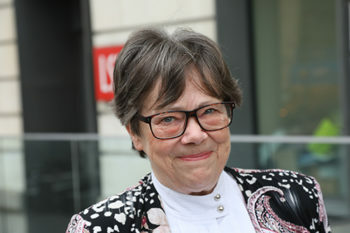 Judith was Deputy Director of LSE from 1998 to 2004, and Acting Director from May 2011 until September 2012. Judith has acted as advisor and consultant to a number of international organisations, government departments and NGO’s including the World Bank, UNDP and the EC/Rio Group, CPRE and Friends of the Earth. The advice has covered a range of water and environment related topics including the regulation of public and private water utilities, the provision of urban water and sanitation, sustainable development, pricing, institutional design and regulatory regimes in environmental management. She was member of the Technical Advisory Committee of the Global Water Partnership from 1996 until 2009. Judith has also been chair of the Training and Development Board and member of the central Council at the Economic and Social Research Council (ESRC), from 2004 to 2010. Judith was awarded the title of a Commander of the Order of the British Empire (CBE) in 2006 and DBE in 2013. Please note that Professor Rees is no longer able to accept requests to supervise PhD students. Video: What next for international climate action?